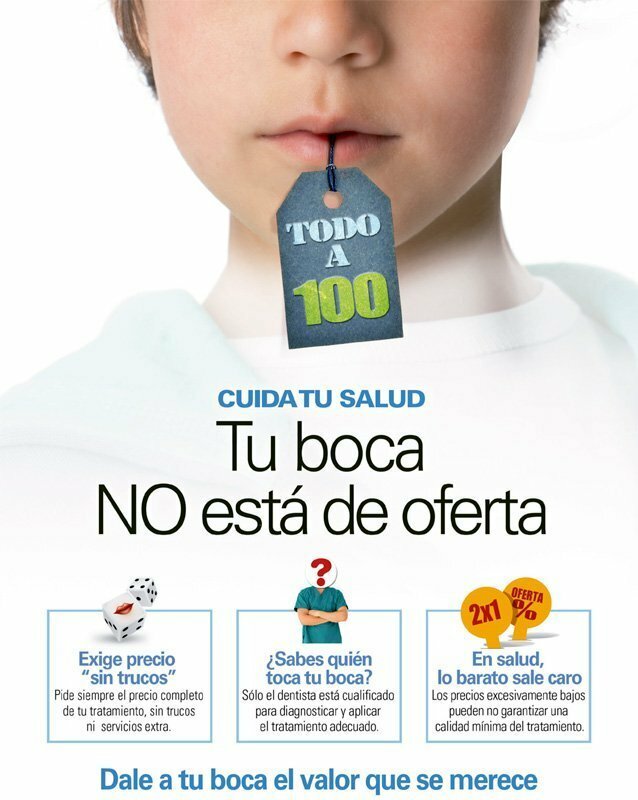 The General Council of Dentists of Spain, the institution made up of colleges of dentists, stomatologists and odontologists from the autonomous communities, has started a campaign against threats that have impacted the profession: professional plethora, intrusiveness, and the emergence of polyclinics run by entrepreneurs (who put their economic and commercial interests ahead of professional ethics and commitment to the oral health of patients). The oral health professionals have always put the patient’s health criteria over other interests. They offer rigorous, truthful, understandable, and prudent information on treatments, based on scientific knowledge. 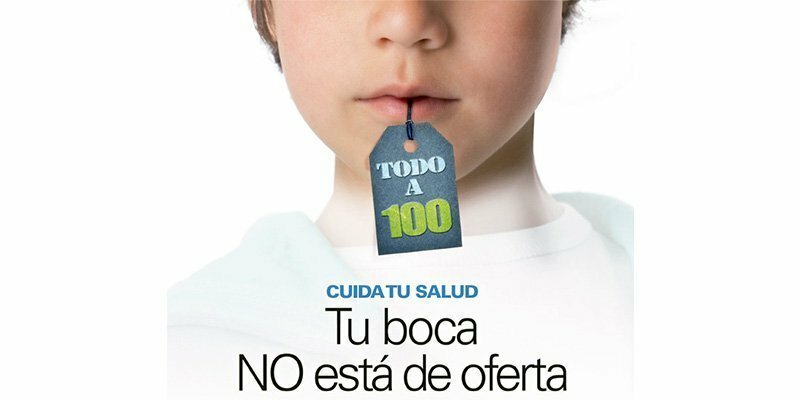 One of the main activities of the colleges will be addressed towards the regulation of health products advertising in order to make it much stricter, since recently unethical and misleading advertising is increasing. It aims to raise both institutions and general public awareness on the problem. In Catalunya we have seen it on buses. Do not trust very cheap treatments preceded by the preposition “from” or followed by asterisks. Do not hesitate to ask your dentist about the materials and techniques that your treatment will require. A good professional will use the best technology and the proper treatment and will not hesitate to answer all your questions and concerns.